COIN-OR is pleased to announce COIN fORgery, a workshop to be held at the IMA (Institute for Mathematics and Its Applications) October 15-19, 2018 in Minneapolis, MN, USA. 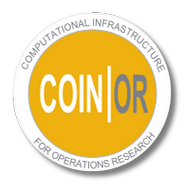 We welcome all members of the broader COIN-OR community to this workshop focused on the development of software in the COIN-OR repository of open source software for Operations Research. The goal is to bring together the community of existing and future developers, users, packagers, and other interested parties for a combination of tutorials, technical talks, and hands-on sessions leading to proposals for later intensive “coding sprints.” A running theme will be the future of COIN-OR and how to put it on a sustainable track. The focus of the workshop will be primarily on the tools in the COIN-OR Optimization Suite. The general structure of the workshop will be to have tutorials and/or technical talks in the mornings, optional topical discussion at lunch for those who are interested, and hands-on breakout sessions in the afternoon. Each day will have a theme and will be lead by a different member of the COIN-OR community. Give participants a good overall view of where COIN-OR is today, where work is needed, what the challenges are, and how they can contribute. Get participants quickly to hands-on exercises where they can make a contribution. “Energize the base” to continue participating and contributing post-workshop. Develop proposals for and organize teams for coding sprints. Develop strategies for long-term sustainability. End users/packagers/integrators, including those wanting to use our libraries and modelling tools. Current COIN-OR developers who want to learn more. Developers of new projects wanting to use our (build) tools. People interested in the internals of our tools so they can extend/improve them. For a list of participants, please see the IMA workshop site. We are very grateful to the IMA for supporting this workshop both with their organisational expertise and also through some contributions towards accommodation and/or travel.